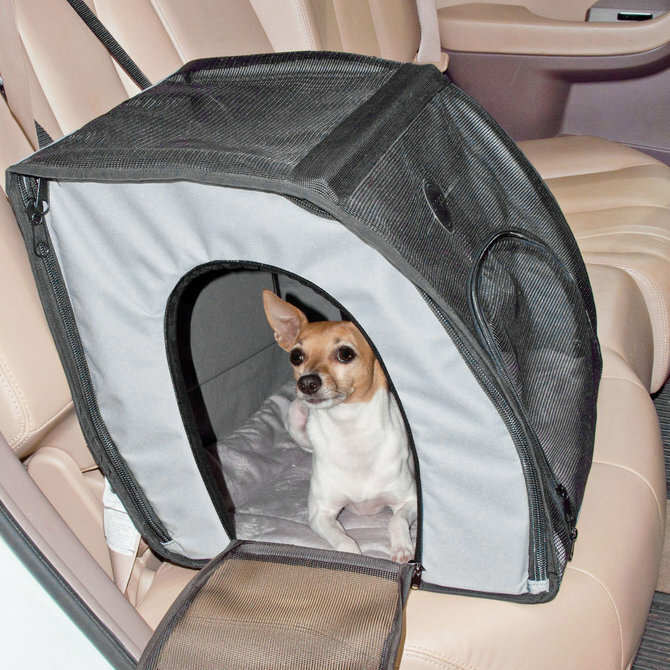 The simple way to keep families and pets safe in a vehicle. 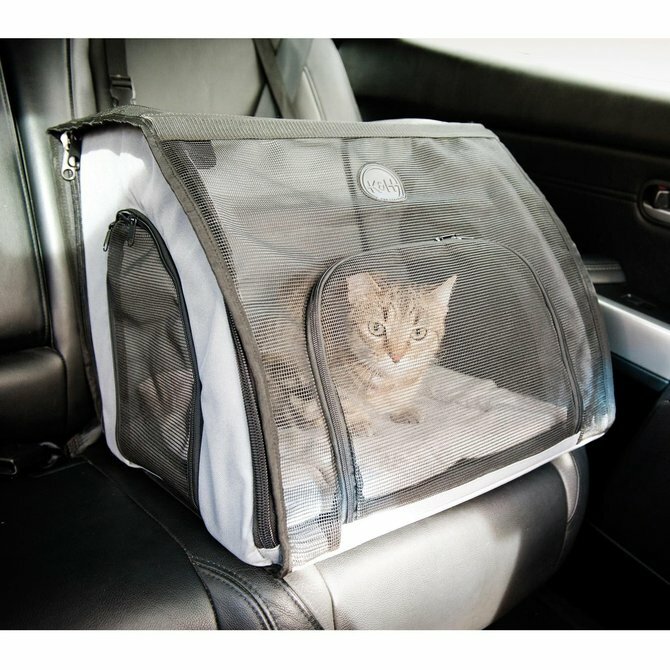 Driver distraction is kept to a minimum when pets are kept confined and not allowed to roam. 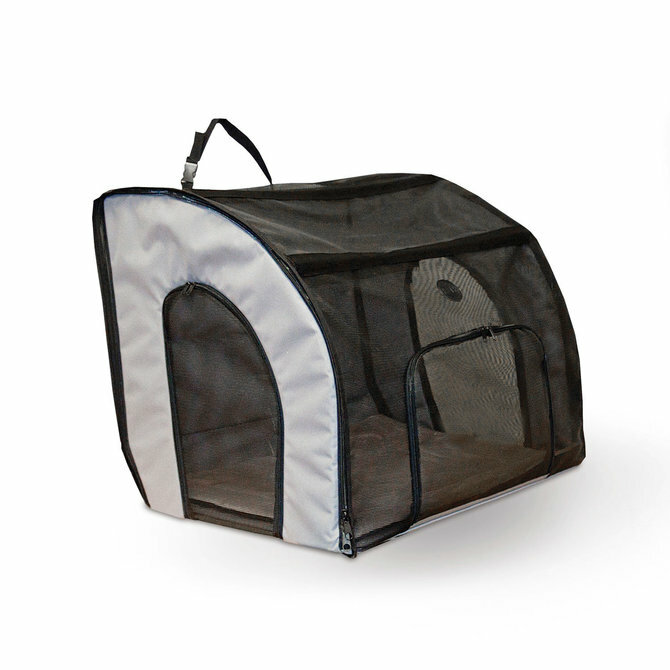 The K&H Travel Safety Carrier is the most convenient way to contain a pet. 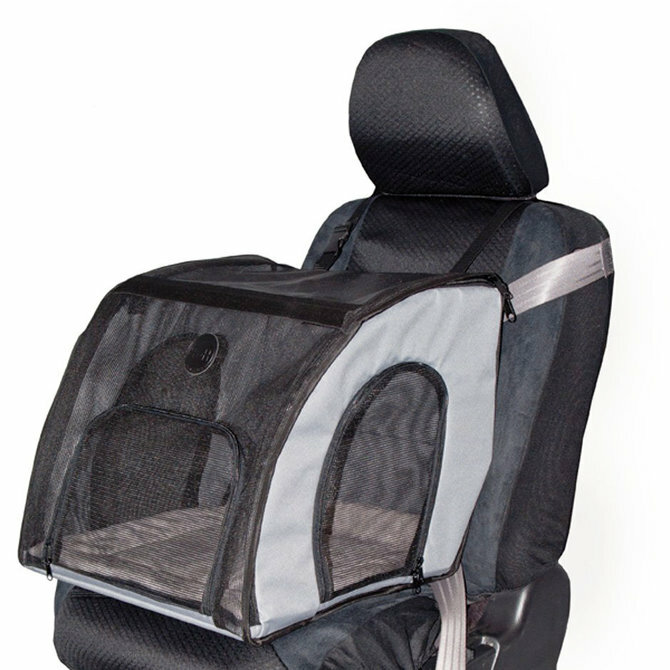 The small size fits any front seat and all sizes work perfectly in any back seat. Small - 17" x 16" x 15"
Medium - 24" x 19" x 17"
Large - 29½" x 22" x 25½"